Rakesh (Rick) Jain is a Partner and Investment Committee member at Star Mountain Capital, with over two decades of alternative investment management experience with the majority of that time spent managing private debt and private equity funds in the U.S. middle market. At Star Mountain, Mr. Jain helps lead the firm’s direct investment activities and is involved in all aspects of investment origination, underwriting and portfolio management. Mr. Jain joined Star Mountain from Green Brook Capital Management, a private investment firm that he founded in 2009, which focused on providing flexible private debt and equity solutions to middle market companies, primarily in the services sector. While at Green Brook Capital Management, Mr. Jain invested over $200 million in sponsored and non-sponsored private credit (unitranche, senior, mezzanine, distressed) and equity-related investments across 12 companies. Mr. Jain was previously a principal and partner at Stone Tower Equity Partners, a $2.5 billion hybrid private equity/special situations credit fund that was a division of Stone Tower Capital, a $17 billion in AUM credit investment firm that was ultimately acquired by Apollo Global Management. 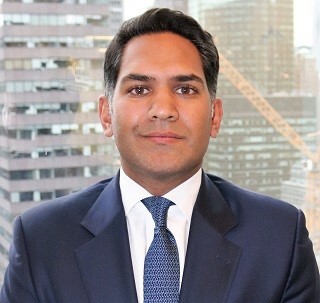 Prior to joining Stone Tower Capital, Mr. Jain was a Director at Citigroup Alternative Investments (Citigroup’s $10 billion alternative investment platform comprising Citigroup Private Equity and Citigroup Mezzanine Partners LP) where he managed several funds focused on private equity and private credit direct investments, fund investments as well as on strategic financial services investments. Before joining Citigroup in early 2002, Mr. Jain was a Director at IFG Capital Management, a $300 million private equity fund sponsored by Goldman Sachs, General Atlantic Partners and The Boston Consulting Group. Earlier in his career, Mr. Jain was a vice president at Berenson Minella & Company (merchant bank) and an investment banking analyst at Morgan Stanley in the Financial Institutions Group.